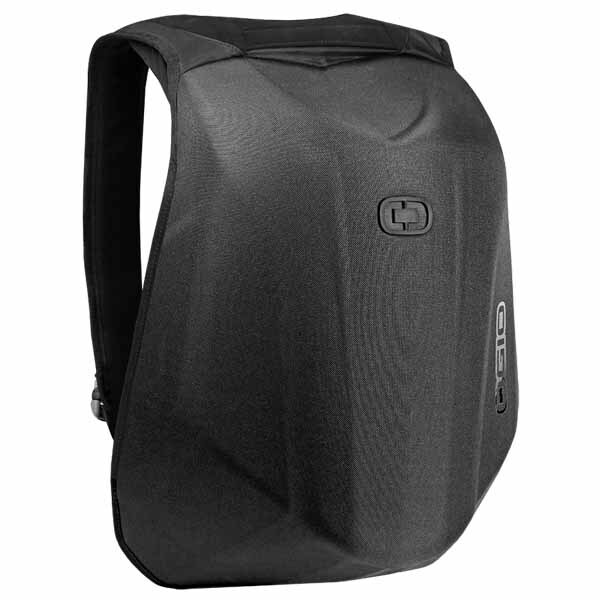 The Mach 1 Motorcycle Back Pack with No Drag Technology is true to its name, with a streamlined single shot molded exterior that won't deform from wind sheer. The shoulder gasket conforms perfectly to you body, increasing your aerodynamics so you aren't dragged down. Still, it has a large main compartment with interior storage -- even an organizer panel to keep it all in place through every turn. The padded interior holds up to 15 inch laptops, and it's protected by a nearly waterproof exterior. Ergonomic padded adjustable shoulder straps work with a removable no slip sternum strap, so the only thing soaring is you.